Proceeds from the APEX awards contribute towards much needed bursaries for deserving students of the AAA School of Advertising. These bursaries contribute towards tuition fees and enable students to obtain a tertiary qualification. The 2014 APEX awards is hosted by the ACA with key partners SABC and sponsors ads24, City Press and Rapport, Anglo American, DStv Media Sales, Millward Brown, The Media Shop and the Sandton Convention Centre. Without the generosity and contributions from the key partners and sponsors staging the APEX awards and awarding the bursaries would not be possible. The APEX awards is a unique awards program, highly regarded and valued by the advertising and communications profession for its tangible measurement of the contribution of advertising and communications campaigns to business success. The annual white tie gala event is attended by approximately 500 captains of industry, stakeholders from Government and members of the media. “The ACA is extremely grateful for the support received for APEX from our key partners, sponsors and contributing companies who together make staging the awards and awarding much needed bursaries possible. We look forward to a long, mutually beneficial and successful partnership with all involved.” adds Odette. 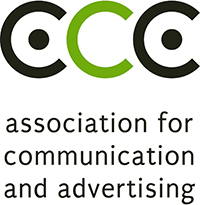 The annual APEX Awards is hosted by the Association for Communication and Advertising (ACA) which is the recognised industry body of the advertising and communications sector of South Africa. APEX recognises and celebrates communications campaigns’ performance excellence by contributing tangibly client’s business and bottom line. Winning an APEX places a real seal on a client and agency team’s achievement because it demonstrates the contribution made by the team through its collaboration and work. Entry into the prestigious APEX Awards is exclusive to agencies that are members the ACA and their clients.